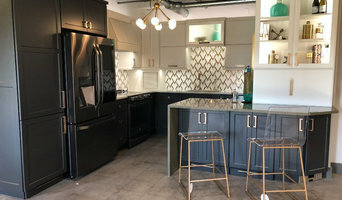 We are a unique company that offers a variety of decorating services for homes and business’ located in the greater Jacksonville, Florida area. We specialize in offering décor solutions to fit any style and budget. Our goal is to help you create a warm and comfortable feeling within your space that fits your specific style and needs. Whether you are choosing a paint color, starting a room from scratch, or looking for top dollar in selling your home we are here to help. Interiors Revitalized is a design firm that specializes in interior design and home staging. Our goal is delivering an outstanding design that achieves our customer’s vision while working within their budget. The team’s combined education and experience allow us to take on a wide range of projects. This teamwork approach gives us the creative edge and added flexibility. Purveyors of custom American made furniture, window treatments, blinds, area rugs, lighting, accessories, and design services. With over 30+ experience in the textiles and furniture industries, we have the knowhow to create the spaces of your dreams. Our design firm has been featured in Jacksonville Magazine throughout 2015 and 2016 and our showroom has been awarded a number of prestigious awards such as JaxMag Best of 2015, and The Fabulist 2016 "Store Women Most Want To Decorate Their Homes". Designmind, LLC is an internationally award winning, full service interior design firm founded by Rebecca Davisson and Larry Wilson, specializing in residential & commercial design. Our goal is to provide uncompromising cost-effective design-driven solutions which are responsive to our clients' needs. 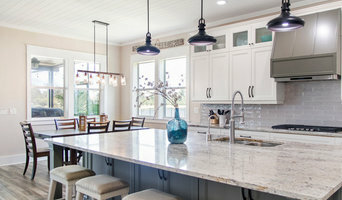 Brevard County Interior Designer 4X Best of Houzz Winner! Lifestyle Homes is all about making your home the place you have always dreamed it would be. From interior design, to home decorating, from de-cluttering to organization, when we leave your house, we hope that you finally feel at home. We value you as our client above anything else. We want to hear about you, what you enjoy and what you love. From there, it is our promise that we will create a space that fits perfectly for you. We aren’t afraid to be creative within the budget that you have creating a space that fits both your desires and your needs. So when you feel stuck and not sure what to do next, let us jump in and help! It is our greatest pleasure to leave you feeling truly at home in the place that used to just be a house. We design for our client's individual lifestyle. By listening to our clients we can translate their specific needs, desires, and preferences into each project. We develop a design concept with a finished outcome in mind. Results: A professionally designed space tailored to your individual requirements. Our professional services entitle you to our 30 years of experience and a vast array of exclusive sources and materials, as well as our team of reliable tradesmen. We offer every element for the interior environment: furniture, lighting, custom window coverings & bedding, area rugs & floor coverings, wall coverings & custom decorative faux finishes, as well as interior architectural detailing. We organize your project, make it fun, and create comfortable interiors designed just for you.